Mount St Mary’s University, American University Center for Peacebuilding & Development, Woodstock Theological Center at the Georgetown University and the Rumi Forum organized a conference titled “The Hizmet Movement and Peacebuilding: Global Cases” on October 25-26 2013 at the National Press Club. 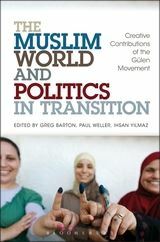 The Conference was attended by more than 200 people from more than 20 countries with more than 20 academics making presentations about the activities of Hizmet Movement in their regions. This year’s Rumi Peace and Dialog awardees were honored at the National Press Club on October 24. Professor Ali Mazrui, Annette Lantos and Chef Jose Andres received their awards during the program. Rumi Forum Chapters organized dialog and friendship dinners throughout the month of November in Richmond VA, Hagerstown MD, Charlottesville VA, Wilmington DE, Blacksburg VA, Norfolk VA and Baltimore MD. Notable people including mayors,fire chiefs, police chiefs, sheriffs, academics, US Senators, state and federal politicians, government officials, community leaders and members attended these dinners. The events were jointly organized by American Turkish Friendship Association branches and the Rumi Forum chapters. Rumi Forum organized a roundtable with Turkish Deputy Prime Minister Ali Babacan in October 2013. Rumi Forum and the Embassy of Azerbaijan held a discussion dinner on the future of Azerbaijan at the Embassy of Azerbaijan in November 2013. Alex Vatanka from MEI moderated while Emre Celik and Ambassador Suleymanov welcomed the guests. Rumi Forum hosted Hudson Institute Scholars for a dinner and discussion in September 2013. Rumi Forum met with Pew Research Scholars led by Brian Grim on issues local and international for a roundtable discussion in October 2013. Rumi Forum hosted Ihsan Yilmaz of Fatih University in October 2013 for a roundtable discussion in October 2013. Mr Yilmaz is also a columnist in Today's Zaman. Rumi Forum hosted a roundtable discussion with African American leaders and community members discussing community service amongst other topics. 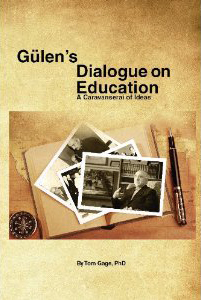 Emre Celik gave a lecture at Goucher College in Baltimore on Hizmet Movement in November 2013. 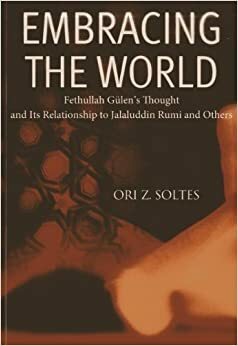 Rumi Forum President Emre Celik spoke on the Hizmet Movement and Fethullah Gulen at the Baptist Convention in Dallas, Texas in November 2013. Rumi Forum President Emre Celik attended a meeting with the Turkish diaspora leaders in US where President of Turkey Abdullah Gul was also in attendance. President Erme Celik met with His Excellency Sergey Kislyak, Ambassador of Russia to US, in October 2013. President Emre Celik met with Archbishop Carlo Maria Viganò, Papal Nuncio to the United States at the Embassy of Vatican in September 2013. Rumi Forum hosted a delegation of Egyptian Christians and Muslims. The delegation learned about the Rumi Forum, Fethullah Gulen and the Hizmet Movement. 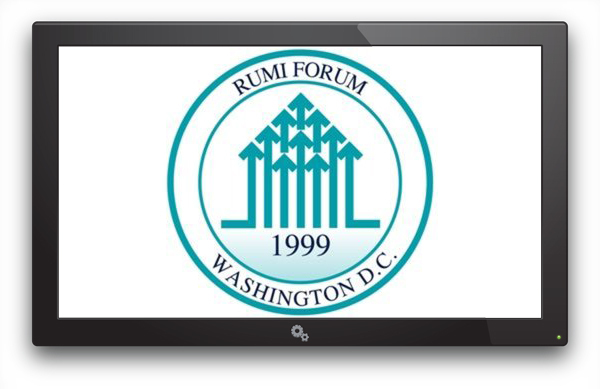 Rumi Forum brings together various sectors in the wider Washington DC area in small groups to travel to Turkey. 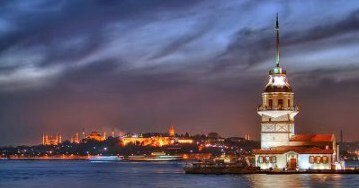 Cities such as Istanbul, Ankara, Gaziantep and Izmir (amongst others) are visited. 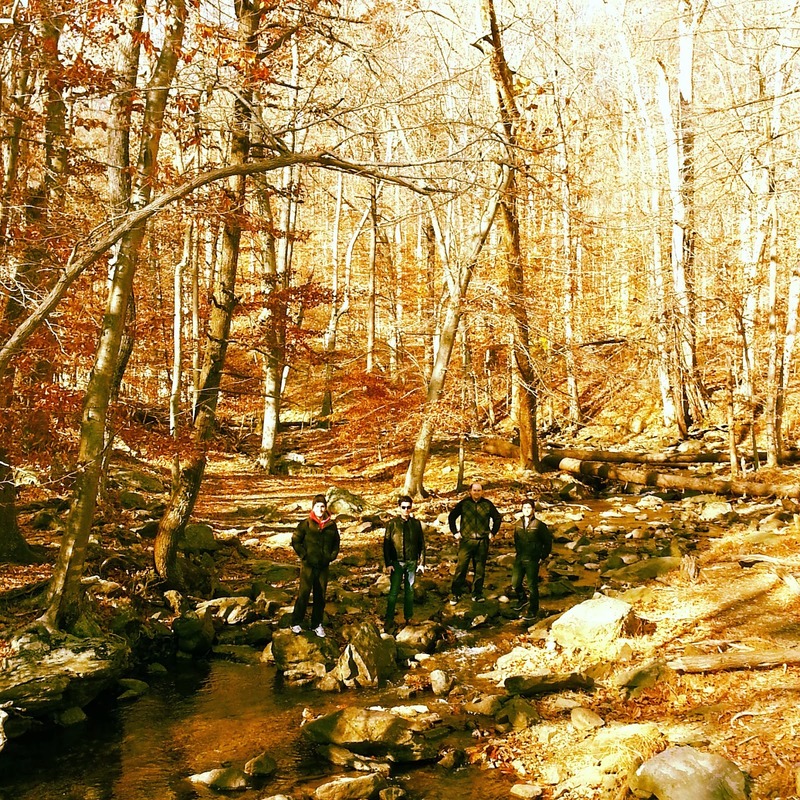 During August and September 2013 Rumi Forum organized 3 trips. Think tank and university scholars, Government departments, Members of Parliament, NGOs, journalists and numerous others were visited. Rumi Forum organized numerous reunion meetings with 2013 trip participants. The meetings were hosted by trip participants. Rumi Forum organized a discussion in DC with Hakan Altinay from Open Society and past trip alumni in October 2013. Rumi Forum Advisory Board convened in November 2013. Rumi Forum hosted Directors of various 'intercultural dialogue' organizations for a workshop based on Rumi Forum's activities and approaches to social harmony and projects of inclusion. As part of community service projects Rumi Forum donated meat to Martha's Table and DC Central Kitchen while our volunteers participated in helping to distribute food and other items. 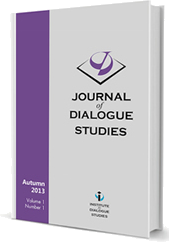 The Dialogue Society of UK is delighted to announce the release of the inaugural issue of the Journal of Dialogue Studies, a multidisciplinary, peer-reviewed, biannual academic journal which will shine the light of academic scrutiny on the theory and practice of dialogue. Rumi Forum hosted September 2013 courses. Enrolments for the next set of courses have started. 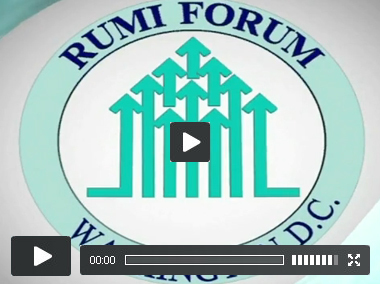 Visit www.rumiforum.org for more details.